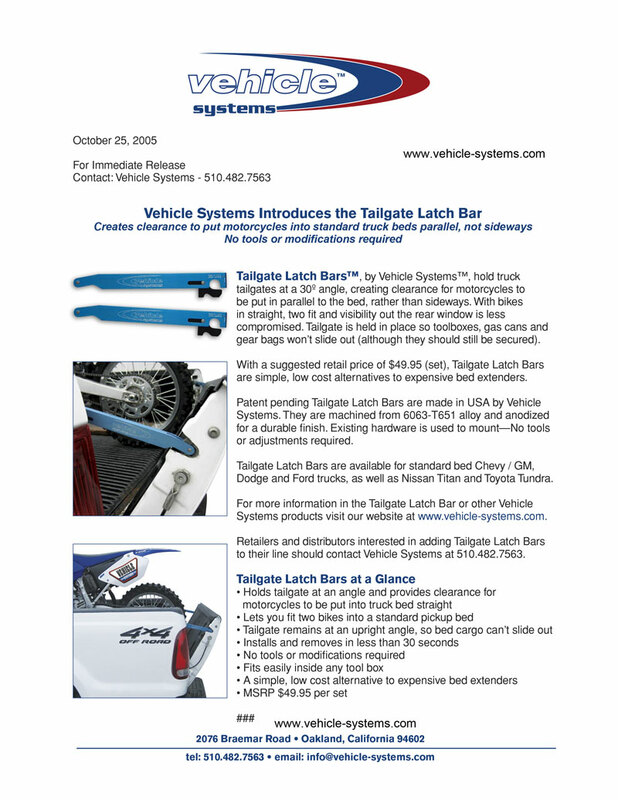 I have been using the Vehicle Systems tailgate latch extender for over a decade. Very convenient and solidly built product. Stop having to turn your bikes sideways!! 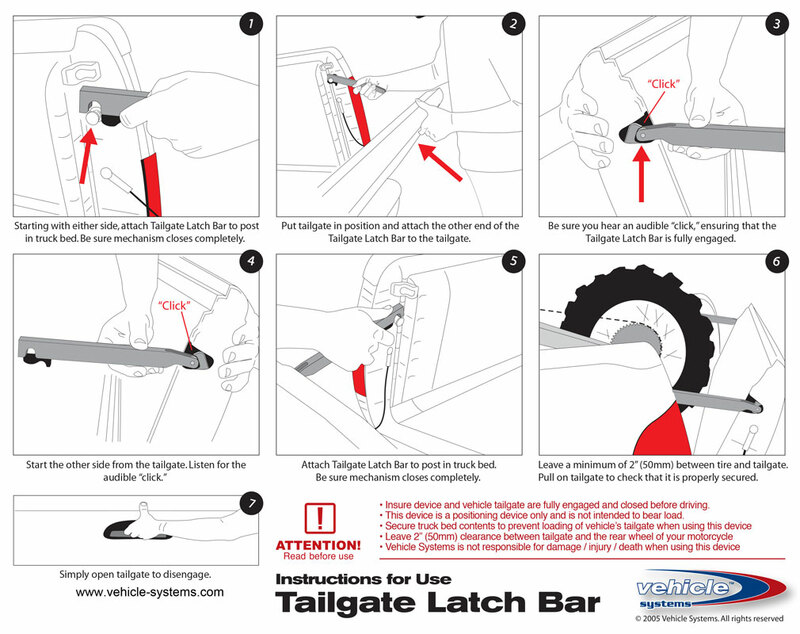 Get yours ordered or what a great gift idea for your buddies, wife’s and husbands with a short bed truck (now you can put two bikes in and close the gate with the Vehicle Systems tailgate extender. Jim Lubin is the owner and a great guy as well.